ParrotDog Rarebird Kakapo. A Fresh Hopped IP, a Wet-Hopped beer. 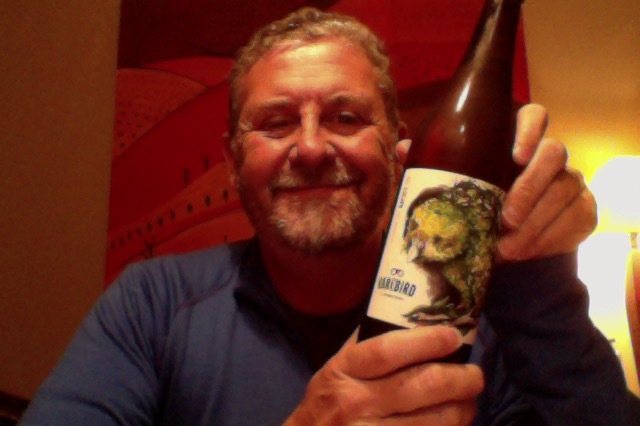 Also in a limited run of 126* bottles – the same as the total number of Kakapo in the wild! RareBird: Kakapo (Wet-Hopped IPL) has left the building for its new habitat – this is to be the first of a new ParrotDog range; a series releasing one-off beers inspired by the quirky birds of Aotearoa. This series is about creativity in brewing and celebrating the strange characters in our endemic birdlife – we’ll be working with local artists and conservationists to share their interesting tales of existence. What could possibly go wrong with that? Well the last time had this, the keg version, I scored it arbitrarily a 9. The aroma on opening isn’t a lot to note, sour hops faint. Much hoppier and sweeter aroma in the glass, which is a yellow range pale but with a decentsworth of fluffy head. Well. Let me tell you that I don’t seem to be having the same full immersion experience I had as I did with the tap/keg version. The level of hop grassiness and bitterness is quite impressive and there is a cushion of sweetness in this, but it seems to be at much more a normal lager type level, and not as peaky or highlighted as the keg version, which of course I have to compare it to. But it isn’t like any lager beer I’ve ever had, this has so much more sweetness in the middle, the harsh hop edge is there, but it isn’t and the finish is just a soft kiss of dry sweetness. It is a beer that seems to enjoy being slightly warmer than my fridge is set at. I don’t know if I can describe the way this beer tastes in any other way, but I’ll give it a go. It’s a sweet lager, as in sugary sweet, not as in ‘sweet rims on your car’ sweet. 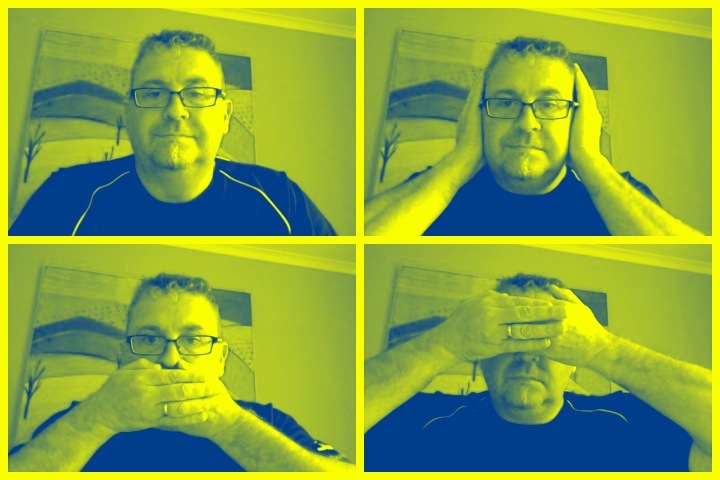 but it’s not sugar sweet it’s a full body sweet, peculiar, interesting, engaging and welcome. It has bitterness but it isn’t bitter, and it has a really nice full drinking mouthfeel and finish without any particular bit of it being outstanding on its own. Just a fine beer done good. The pdubyah-o-meter rates this as 10 a of its things from the thing. It’s a rare beer that is as though provoking as this, and when you’ve drunk the most of it you then begin to appreciate what a fine beer it is. A performance beer, definitely not a session beer, unless you start at 6 and finish at 7 and have a happy hour for one. I don’t know that there is a bad thing to say about this. Am I enjoying it? 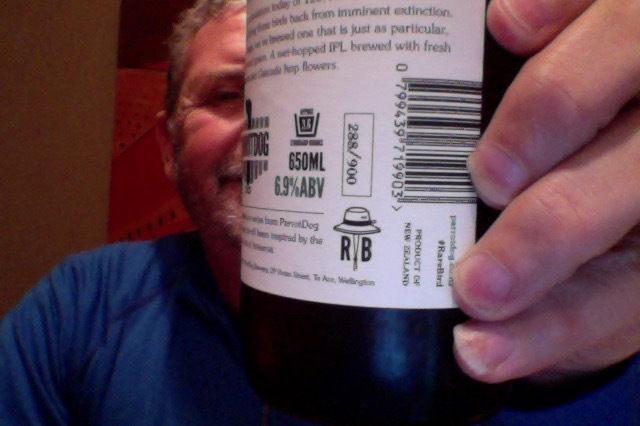 I surprise myself in that I am enjoying what might be an unremarkable beer until you start to think and explore it. It is a well hopped, fine balanced good beer. Would I share with a friend on a porch and set the world to rights? I really would, if all IPL’s we’re like this there would be happiness unbounded, if I brought this to you we’d be giving the fist-pump and high-fives, or not, and we’d be listening to some good music and talking some right nonsense, distracted only by the sorrow of a dwindling beer and a rare bird. Indeed. Most commonly found in Poland, but also in other European countries as well, especially the East. These are essentially stronger versions of pilsners, though the increased malt and alcohol will noticeably reduce the hop accent. Because these are usually all-malt, and comfortably hopped, they are easily distinguishable from malt liquors. Without the malt character of bocks, these are worthy of a style all their own. In the US, a similar idea has been derived and is usually called Imperial Pilsner. 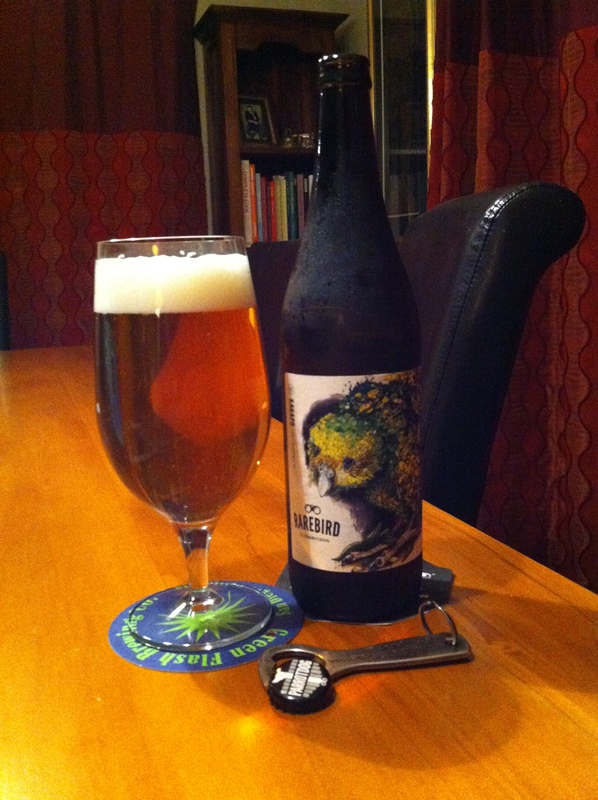 This entry was posted on June 5, 2015 by Philip Walter in Beer, Beer of New Zealand, Beer Review, Craft Beer, Critic, ParrotDog, Strong Pale Lager/Imperial Pils and tagged Beer, craft beer, Hops, ParrotDog Brewing, ParrotDog Rarebird Kakapo, Rarebird Kakapo, Rarebird Kakapo Wet-Hopped IPL, session beer.